JTM Bureau in an exclusive with Mr Arvind Patel, Managing Director, Sahajanand Laser Technologies Ltd gets to know the sincerity behind the company's growth. 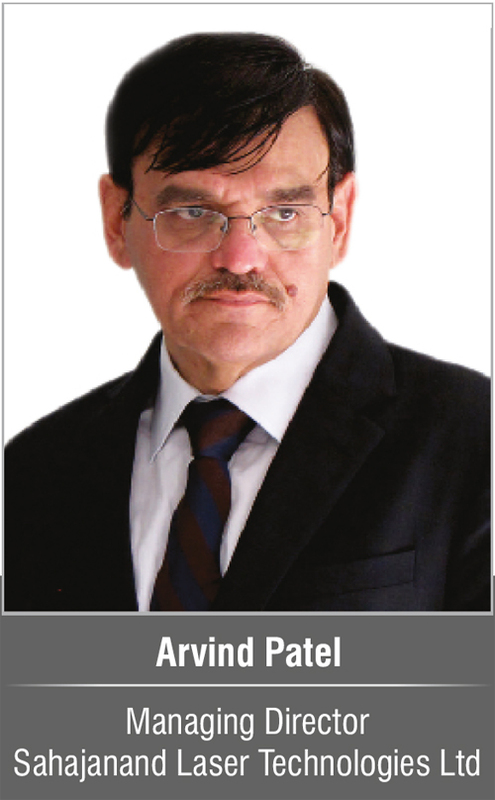 In this first of its kind interview Mr Patel also opines on the importance of Research & Development for any organisation. Sahajanand Laser Technologies Ltd has been enjoying a leadership status when it comes to offering state of the art products and services to the customers. What has been the driving force and motivation behind building an ethically strong brand such as SLTL? In our company we strongly focus on building products that not only helps in production but creates a value to customer. Our products are designed to solve problems of industry. We strongly adhere to our mission, vision and values. Every action that SLTL promotes is directed to achieve its vision. We at our company follow world class manufacturing practices and always push ourselves to innovate. Eventually Sahajanand Laser Technology Limited emerged as the first Indian company accounting for laser revolution across the globe. We aim to make manufacturing process simpler and quicker than ever. As a brand we've to maintain trust of our customers. We always tend to deliver best products in the market. Lately there has been introduction of taxes such as GST in India or VAT in the UAE. What is your opinion on this has Technology & machinery sector been effected by this? Any change bought in by government does bring some turbulence. The manufacturing sector in India contributes a mere 16% to the overall GDP. However, the potential to make this a high-growth and high-GDP sector is huge. The "Make in India" campaign by Prime Minister Narendra Modi makes this possibility real, by giving impetus to the sector. Furthermore, Price Waterhouse Coopers estimates that India will become the fifth largest manufacturing country in the world by the end of 2020. It would be interesting to know how the Goods and Services Tax or GST impacts this roadmap. GST is one of the key policy changes that will have a direct impact on manufacturing establishments. So far, the existing complex tax structure has been a dampener, resulting in the slow growth of the sector. GST is expected to liberate the sector by unifying tax regimes across states. Overall, GST is expected to have a positive impact and boost manufacturing. Clearly businesses will be impacted financially by the introduction of VAT in UAE, both initially by the work involved in updating their business operations to be VAT compliant and on an ongoing basis, particularly in sectors where VAT may be wholly or partially irrecoverable. How important is Research and Development for any company? According to you what should be the government role in encouraging R&D in any country? Cite examples if possible. Research and Development is very vital for any company. Our company focuses on innovation and pushing boundaries which is possible by bringing in authentic technology. R&D department plays an important role in bringing innovation. It helps in addressing particular problem of the industry, thus always pushing industry to grow. We heavily invest in our R&D department. Almost, 10% of our overall revenue is dedicated to R&D department. Government could affect heavily in promoting R&D. For small cap industry the govt. could promote R&D by promoting financial aid and subsidiaries. Amongst all the best selling products under the Brand of Sahajanand Laser Technology Ltd which in your opinion is that product or service that has been in high demand and why? We operate in multiple industries, providing wide range of machinery. We've a lion's share in diamond industry with our world class range of products. 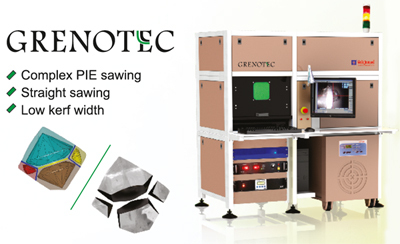 We deliver machines for jewellery cutting, marking, welding. Our machines have helped to reduce gold waste. We call it 'One Stop Solution' for diamond. These products are capable of complete processing from rough stone to polished diamond. The product is loved by the industry because of its precise, reliable and efficient working. What are your important offerings to the Diamond sector and how has it yielded results for the sector as a whole? SLTL are the pioneers in bringing laser technology to India and especially for diamond processing application. Our products such as Gizmo, Hallmark 4G has been revolutionary in terms of making Indian diamond industry to be a World leader. Even with lower manpower, our technology has been able to sustain the production level with marked improvement in cutting quality. The value addition generated due to the technology has enabled our factories to compete with the best in the world. Our latest products Hallmark 7G (a seven axis laser processing for fancy shape) and Hallmark Green are introduced for this new year. They are the ones helping our business partners in making the polishing process easier and with quality checking negligible. The future is lower weight loss while cutting the rough and making the fancy shape in mass production. These factors are considered when we introduced the above said product. 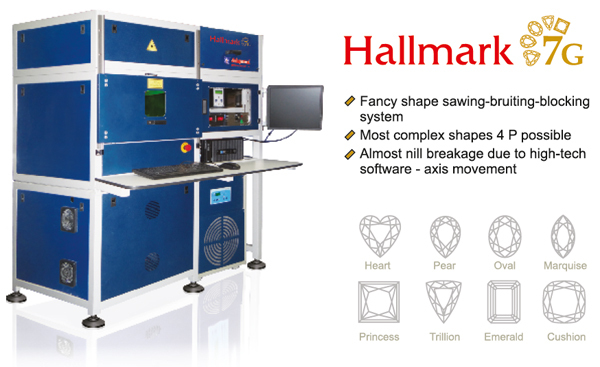 Tell us something about the SLTL Jewellery Hallmarking system? What are its advantages over the competitive systems available? Jewellery hallmarking is our expertise. SLTL owns 80% market share for diamond industry. Our machines are designed to meet hallmarking demands very precisely. You cannot afford to make mistake while operating on valuable jewellery. Our machines, over the years have proved very reliable. This system is very fast and production ready. It can perform at peak levels to increase productivity with best in class efficiency. What are your future global expansion plans? Have you established business in specific economies? If yes please tell us more. Our business is ever expanding. In India, we are leaders in this domain. Our technology and manufacturing practices are world class. We constantly push in the global markets by marking our presence in global events and we are getting very good response overseas. We already have our technology laid over in more than 30 countries. Recently, as a part of our global strategy we transformed our old logo and evolved as more global outlook. In next coming years we are going to be very aggressive with our global strategy.